Strike Force Lieutenant: [the GCPD arrive at Arkham Asylum ready to raid the building in search of Jim Gordon] No sign of Gordon. How long do you want us to wait? 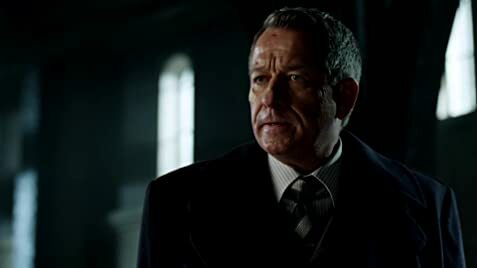 Harvey Bullock: Give him ten seconds. If you don't see Jim, bust that joint open and find him. Strike Force Lieutenant: Ready, entry team. We go on one! So the Episode was good .yet there is this thing ,, i don't know about.. maybe bringing all of these dead people over and over again just makes the plot go a bit dull !! even though i had fun seeing Mooney back but with all the other evil ones before ,Galavan ,Barbara and they might bring back that crazy dude "Jerome Valeska" .. i mean it looks like the writers are out of ideas .. i hope not !! 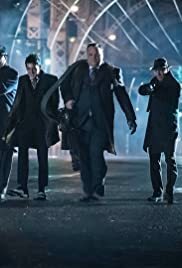 The gang of Cobblepot and Butch are back which was like a deja vu but kinda different in a way .it's like you should root for them now for real.. Fish Mooney is here too with her powers that will be good for the next season if there'll be one .. also some other "monster" looks like Bruce Wayne .. and as we're on the Bruce Wayne story , he'll be after the evil counsel which runs Gotham ..